Hatfields - Nitro Press (0.5 Litre) Make Instant Espresso Martini! 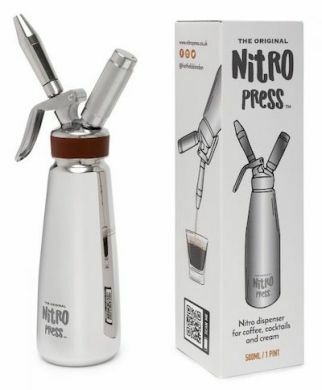 The Nitro Press is a brand new technology for creating instant espresso Martinis, Nitro Cold Brew, Nitro Beer and other Nitro drinks. With the Nitro Press you can turn almost any drink into a Nitro drink. DOES NOT INCLUDE N2 CARTRIDGES.